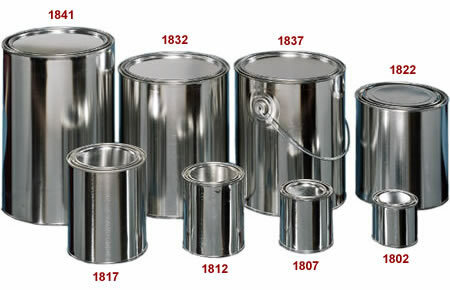 Metal and plastic paint cans are in stock and available with accessories such as clips and overseals (Armlocks) to secure cover while in transit. The paint can closer securely applies the lid and/or overseal. Boxes for shipping one or more cans are also available.